Implants are supposed to quickly connect to the jaw and after that endure powerful forces. Specialists are looking for new strategies: surface structures attract bone-forming cells, at the same time also decreasing the risk of bacterial infections. A look back: Already in 1965, Per-Ingvar Branemark, actually orthopedist and surgeon, implanted the first titanium pins in the human jaw. Over time, his method was continuously perfected. Nearly fifty years later, researchers are testing in particular ways to improve osseointegration, ie. the coalescing of inorganic components to the bone, and to keep bacteria at bay. It starts with the metal itself: compared to pure titanium, alloys using six percent aluminium and four percent vanadium (Ti-6Al-4V) show clearly superior properties in terms of breaking resistance. 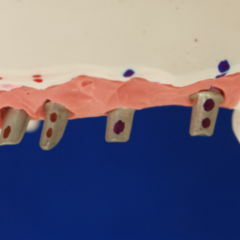 What’s crucial in addition to that is the surface: early pieces were as smooth as possible, yet oral surgeons now use implants possessing microscopic irregularities. There are several reasons: contrary to popular expectations, bacteria colonise rough structures much more poorly, whereas they successfully monopolise smooth surfaces, even superhydrophobic ones. If these porous oxide layers additionally contain fluoride, the adhesion of a variety of clinically relevant strains is further suppressed. In contrast, these layers form an ideal environment for osteoblasts, the cells which are the builder of every bone. Today especially, interdisciplinary cooperation is demanded. For example, doctors and material scientists from the Network INNOVENT succeeded using plasma in initiating an oxidation process and creating a porous bioactive surface of titanium dioxide on titanium implants. In this process, the existing but extremely thin oxide layer is transformed into a four-micrometer-thick ceramic coating. If calcium and magnesium are also interdeposited, bone cells take more easily, as a preclinical study found: in animal experiments, rats received various implants. The bioactive material showed excellent shear strength, the contact with the bone was significantly better. Other research groups are working on organic coatings. The goal of South Korean researchers was to develop new implants that attract osteoblasts, but at the same time reduce the risk of bacterial infections. Scientists for this reason functionalised titanium surfaces with heparin and dopamine, and anchored gentamicin or the bone-morphogenetic protein 2 (Bone Morphogenetic Protein 2, BMP2). The working group was successful not only in improving osteointegration processes. 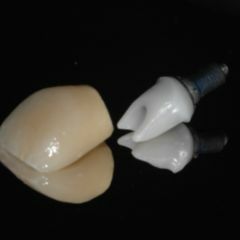 Its precisely the case that infections often result in the loss of the implant, however the special coating also worked against that. A thin, bisphosphonate-releasing fibrinogen matrix showed similar characteristics to BMP2 in a completely different mode of action: the medical agents inhibit bone-degrading cells – osteoclasts – and chemically inhibit a demineraliation of the bone. Orally administered bisphosphonates, such as are used for example in osteoporosis therapy, behave differently. They triple the probability that implants lose stability. Rebuilding processes in the region of the skull, particularly in the jaw, are behind all this. Yet titanium is not the only material used for implants. Zirconium, a close chemical relative, has a lot of other appealing elements: with zirconium dioxide, the anchoring section and head section can be manufactured in one piece. Austrian researchers studied these properties as part of a prospective study. Clinical and radiological parameters showed an integration rate of 95-percent – despite immediate stress loading. Meanwhile, a randomised, controlled clinical study was initiated in order to confirm the derived information. Regardless of the material, researchers discuss again and again the question of whether, after a tooth extraction, implants can be placed immediately into the extraction socket. In order to clarify this, data was retrospectively compared from 150 patients. These received 480 immediate implants and 542 implants were placed in mature bone – differences in the lifetime of artificial teeth were not able to be shown, except for immediate placement in the posterior maxilla. Further studies are dealing with the geometry of the aforementioned metal parts. 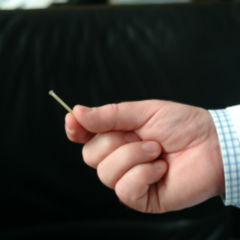 Small – but also fine? If anchoring in the jaw is only half the battle – finding the right head sections are the other half. A breakthough has recently taken place at the Otto-Schott-Institute for Ceramic: using materials based on magnesium oxide, silicon dioxide and aluminium oxide, chemists reached five times higher strength than known ceramics. 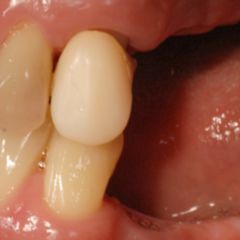 What’s more, the appearance of normal teeth is supposed to be perfectly reproducible using them. They were only able to be produced via repeated melting and crushing – what finally emerged were tiny crystals, up to 100 nanometers in size: something crucial for both strength and transparent appearance. In modern implantology, aesthetics and quality do have their place.